A pulse oximeter is a medical device that can help determine oxygen levels and pulse rate for the individual wearing it. Just like blood pressure is an important vital sign, these measurements can let a medical provider know if there is a potential health issue which needs to be addressed. Finding the best pulse oximeter for nurses or home use is not always easy with all of the conflicting information that can be found online today, so we’ve put together this guide to help you find the equipment you’ll need. On a basic level, every pulse oximeter is essentially the same. The readings are fairly equal, the accuracy is similar, and each can provide needed results. Comfort, ease of wear, and the available range of readings are common points of separation for this equipment – the chart below lets you compare models so you can find the one best suited for your needs. What Is a Pulse Oximeter and Why Do I Need One? Pulse oximeters are non-invasive devices that are used to evaluate the quantity of oxygen a person’s tissues are receiving at any given moment. A normal reading for most people will be 95-100%. When levels fall below normal, then a lack of oxygen is occurring and prolonged exposure can be damaging to a person’s health. First introduced in 1985, pulse oximeters were originally used to evaluate certain lung-based conditions, such as pneumonia. Neonatal blindness was also commonly evaluated with this tool. Today this equipment has evolved into a very useful item that even has home uses. Wear one while working out to know your current oxygen levels. If you struggle with asthma, wearing one could indicate which treatment method may be necessary. Nurses use pulse oximeters as part of the treatment and monitoring process of patients. Even in general care, this information will be collected as part of a patient’s vital stats. This allows a doctor or nurse practitioner to get a better picture of why a patient stopped by for a visit. Many pulse oximeters operate with AAA batteries, but some are designed to have non-replaceable power sources. The latter is typically found in the budget category for this equipment. You’ll still receive accurate results and digital readouts that are reliable, but you’ll also need to replace the pulse oximeter once the juice runs out of the included batteries. The first consideration is the accuracy the pulse oximeter is able to offer. Don’t just settle for the accuracy claims that a marketing department offers to you. Look for products that are clinically proven to be able to show you what the real limitations of the equipment are. Good pulse oximeters should be accurate on a variety of patients instead of a single demographic. The finger size which can be accommodated by a pulse oximeter should also be considered. For home use, the equipment should simply be able to fit on the finger of every member of the household. In a medical situation, nurses will want to have a pulse oximeter with the widest possible range of sizes that can be read. Look for pulse oximeters that offer a finger size range of 8mm to 25.4mm for best results. A pulse oximeter should also come with a strong warranty. The industry standard averages 1 year on most occasions. Any oximeters that offer a longer warranty are worth being considered. Some warranties cover full parts and replacement, while others have a limited scope. You’ll want to see what is being offered, especially when purchasing a premium item from this category. Certain oximeters also come with carrying supplies, like a lanyard, a carrying case, or a carabiner. These are typically for sports-related uses, but some medical-grade oximeters also have them. Be sure to read the best pulse oximeter reviews carefully to make sure your preferred product can meet your specific needs. The average length of time that a pulse oximeter stays in service is about 10 years when used under perfect conditions. This means water spills, drops, and other impacts must be avoided at all costs to get the equipment to last this length of time. Look for pulse oximeters that have built-in impact resistance for the best results. No matter how careful you are, there will be times when the pulse oximeter slips off a finger. When that happens, you’ll want it to survive. The spring mechanism of a pulse oximeter is also a place of weakness on many designs. Look for a high quality spring or another hinge mechanism for best results here. Once the spring tears out of the housing, it can be very difficult to repair the equipment. For oximeters that are $20-$30, you’re pretty much better off just purchasing a new product. Accuracy tends to be a common problem with certain models as well. To avoid this issue as much as possible, encourage the person wearing the pulse oximeter to avoid sudden movements or deep breaths to receive an accurate reading. Some models also struggle to accurately read fingers that are cold or if there is an issue with vascular constriction with a patient. What Are the Prices of the Best Pulse Oximeters? Pulse oximeters are highly affordable today. Accurate models that are suitable for home use and limited medical applications can be found for just $20-$30 right now. Premium models are often priced at $50 or less. 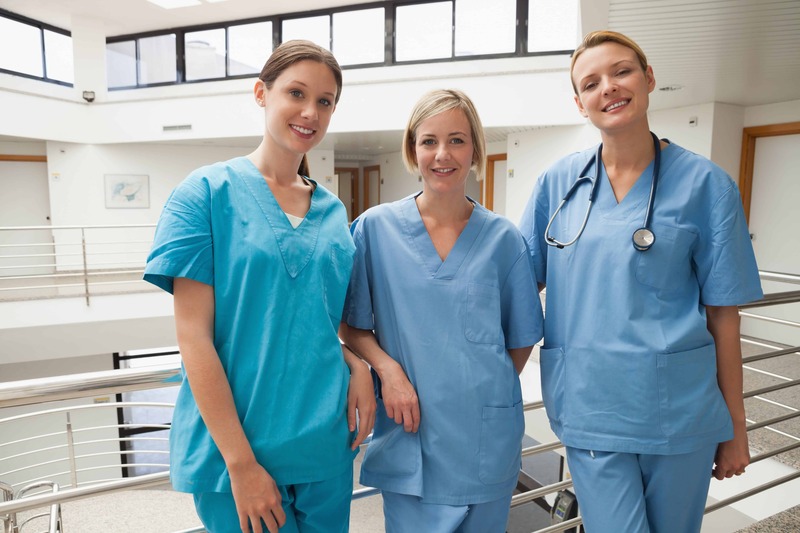 If you are a nurse who sees a lot of patients every day and you want something with an antimicrobial surface and industrial grade molding, you may end up paying $100-$150 for your desired model. Are you tired of cheap pulse oximeters that fall of fingers and take inaccurate readings? Then this is the hospital grade equipment you’re going to want. When used under motion and in low perfusion conditions, this model has been found to be the most accurate on the market today. With Bluetooth included in the design and access to the Apple Health app, everyone can get the readings they need. The high resolution display also has a rotating color screen so you always know what your readings happen to be. If you want the absolute best, this is the pulse oximeter to get. This Pro Series pulse oximeter gets all of the basics right. It takes about 10 seconds to start providing accurate measurements, and then you’ll have accuracy as long as the unit is connected to a finger. It’s priced right for home workout enthusiasts, but it also works well in general practice settings. For medical students, it’s a wonderfully affordable tool as well. The manufacturing process has been developed according to CE and FDA standards and the quality is something that you can definitely see. We loved the carrying options that are available with this particular pulse oximeter. It comes with both a carrying case and a neck lanyard, so you can make sure it comes along for whatever you need it to do. Unlike some similar oximeters in this category, this model is suitable for all ages and it can accommodate several different sizes of fingers. It’s accurate and reliable, with the SpO2 readings appearing almost immediately. The digital LED display is easy to read in all conditions and we found the readings were consistently accurate. The manufacturer individually tests every unit for accuracy and the results received are evidence of this effort at higher quality assurance levels. The readings appear quickly, but do need a few seconds to stabilize from the initial readings. It runs on 2x AAA batteries and comes with a carrying case and lanyard. A heart rate graph is also included on the display and the battery-saving feature is nice, though sometimes a little frustrating if you’re trying to track long-term results. You do have to be still with this model to use it, however, so that might be a game changer for some users. It’s fast. It’s accurate. It’s easy to use. It also includes everything you need to use it straight from the box. Just stick it on a finger and you’re ready to go. Each set of new batteries will give you about 30 hours of usage time. It stays on whenever there’s a finger to provide a reading, but also automatically shuts off after 8 seconds once the finger is removed to save battery life. One word of caution: this is meant for sports and activity-related use, not for hospital settings. The best pulse oximeter reviews will help you be able to find a great way to track specific vitals that are important to your health and the health of your patients. Choose the model that is right for you and the investment you make today will keep paying dividends for months and years to come.